It’s billed as the closest battle for the FIA World Rally Championship in 15 years, as three crews head to this weekend’s Rally Australia looking to become 2018 Champions! Sébastien Ogier/Julien Ingrassia journey to the dusty gravel roads of New South Wales with a three point lead over Thierry Neuville/Nicolas Gilsoul, while Ott Tänak/Martin Järveoja are third and still in with a chance of stealing the title – no-doubt ruing their misfortunes after leading both the previous two rounds in Wales and Spain. There is also the all-important Manufacturers’ championship title to be settled, with Toyota Gazoo Racing, Hyundai Shell Mobis World Rally Team and M-Sport Ford World Rally Team all in with a shout. The Japanese marque currently holds a 12-point advantage over Hyundai, with M-Sport Ford a further 13 points adrift. Based in the New South Wales coastal town of Coffs Harbour, this year’s Rally Australia begins with a ceremonial start on Thursday (15 November), before action gets underway the next day with two loops of three stages through the local rainforests. Saturday (17 November) is the longest day, while a shorter Sunday completes the 24 stage route, which covers almost 200 stage miles. The finish podium will be located in Coffs Harbour city centre, where the Rally Australia winners and 2018 FIA World Rally Champions will be crowned next Sunday afternoon. 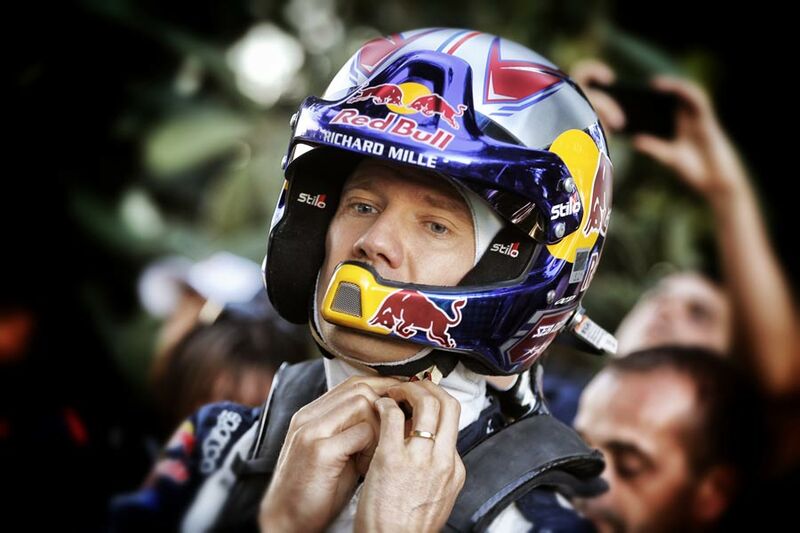 Sébastien Ogier/Julien Ingrassia, Thierry Neuville/Nicolas Gilsoul and Ott Tänak/Martin Järveoja all wear Stilo WRC DES Zero 8860 helmets.